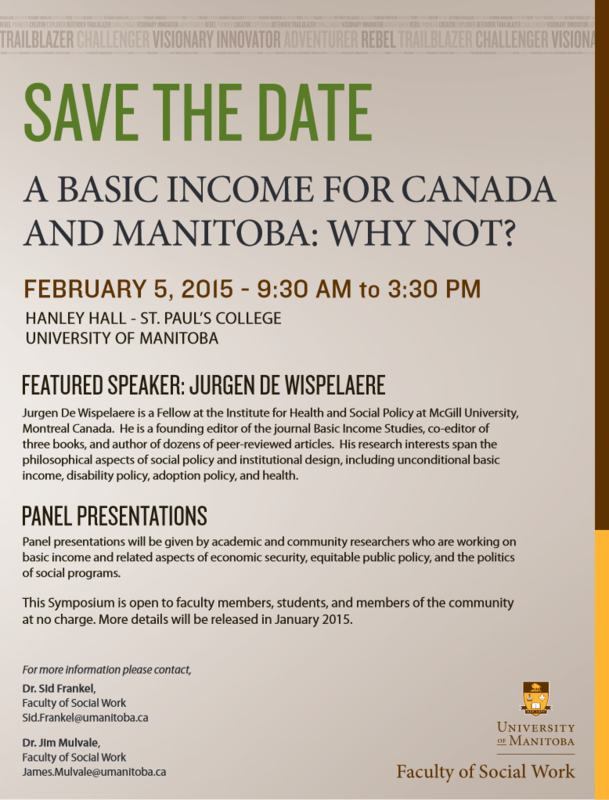 Save the Date, A Basic Income for Canada & Manitoba: Why Not? Basic Income makes progress in Canada! 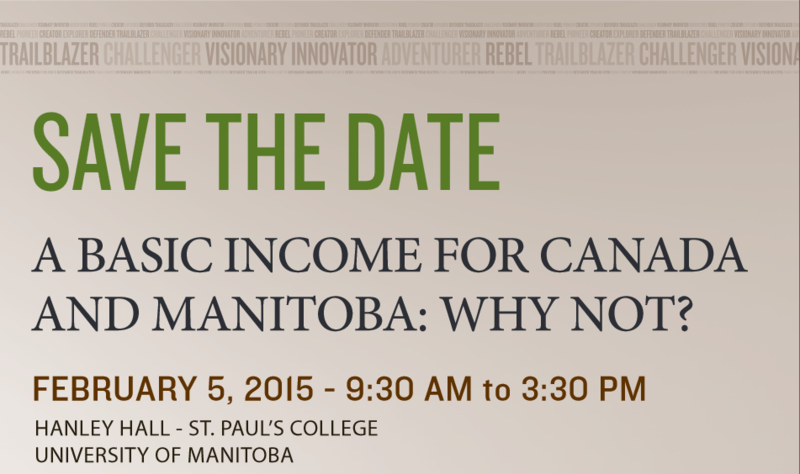 With the University of Manitoba hosting a symposium on the topic on Feb. 5th 2015 at Hanley Hall, St. Paul’s College. I have previously written about a Basic Income [Canada could eliminate Poverty and Homelessness overnight. But will they?] as well as republished a paper on the subject [Psychological Aspects of the Guaranteed Basic Income] and started a petition [Justin Trudeau, Thomas Mulcair, Elizabeth May, Stephen Harper: Implement a Guaranteed Basic Income in Canada]. Jurgen De Wispelaere is a Fellow at the Institute for Health and Social Policy at McGill University, Montreal Canada. He is a founding editor of the journal Basic Income studies, co-editor of three books, and author of dozens of peer-reviewed articles. His research interests span the philosophical aspects of social policy and institutional design, including unconditional basic income, disability policy, adoption policy, and health. Panel presentations will be given by academic and community researchers who are working on basic income and related aspects of economic security, equitable public policy, and the politics of social programs. This Symposium is open to faculty members, students, and members of the community at no charge. More details will be released in January 2015.